Over the last few years I have been very critical of the US Government’s nation building plan. I have stated it is waste of lives and money. That is not a knock on our great US troops because they did not draw up the war plan. Islam itself is clearly the enemy, and our troops are laying their lives on the line to create Islamic countries. To make matters worse, many US Military “leaders” are pandering to Islam, and some even outright defending it! They are doing this as Islam is simultaneously marching across America. Our troops deserve better, much better! Today thanks to a tip from our friend Jarrad Winter at Kuffar News, we hear from a great American who is serving in Afghanistan. One of the hosts asks, how to do those at home benefit from the war? The answer is since Islam is allowed to move unchecked here, we do not. Also thanks to A & G radio. Here are some points of my plan to save America as we know it from Islam. 1. After Israel or America sends a message to Iran’s nuclear plants, it is time to bring the troops home. Put them on our southern border. 3. End all Muslim immigration. 4. Officially ban the governmental aspects of Sharia Law. No Sharia in our courts. 5. Ban the Muslim Brotherhood. Then arrest and if possible deport their members and supporters. If deportation is not possible bring them up on charges of sedition. 6. End all foreigner funding of US Mosques. End all Mosque Construction. The idea is to make the United States of America so anti-Islamic that Muslims do not even want to come here. 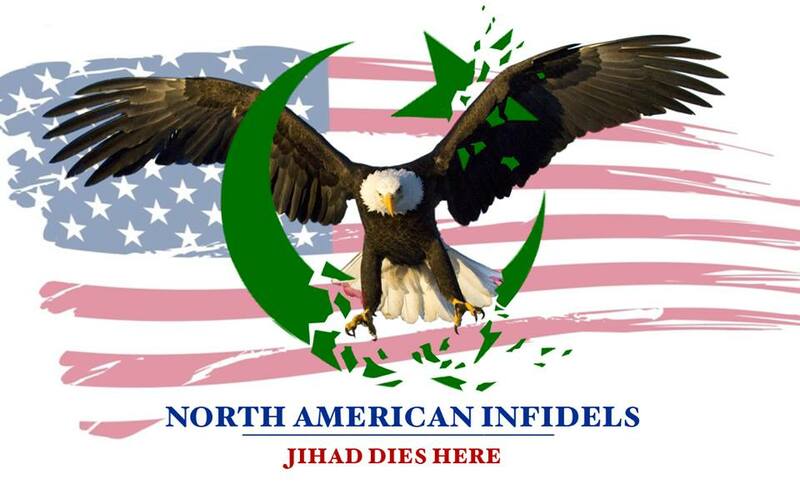 Have a great day team infidel! ← Translator of “Reform Koran” Shows up! LIES Right off the bat! They are there to burn Bibles and not the koranus. Afghans are primative….will never be more than that because of the retardation caused by islam. May as well just put our troops along the border and allow “free fire” to practice marksmanship skills. Fellow Americans who love freedom and want to keep it heed Logan’s Warnings, and his 6 step plan.Nation building at present is futile and islamic countries, if I may repeat a statemen by L W are not worth one drop of american blood, plus untold financial strain on the american economy. Concentrate on the American soil and it’s Inhabitants then and only then will America be saved. Otherwise it will cease to exist as we know it. We needed to nuke Afghanistan and Pakistan off the face of the earth with extreme prejudice. Instead, we sent men on an amorphous mission with suicidal rules of engagement. At minimum, we needed to take down Islam and exclude it from the local government entirely. While the populations and regimes of those nations are Islamic, we have lost. The lives, limbs and blood of our youth have been sacrificed to political correctness. We pull out, the Taliban take over, those who collaborated with us will be tortured and killed and terrorist camps will flourish again. No good outcome is possible. It’s plain and simple your out in Afghan because your government are all capitalist so it’s all about the money and having a influence in that part of the world.You won’t be leaving anytime soon the Taliban won’t give up and can’t be defeated with the current approach the US have a containing strategy so be prepared to lose more people. The war costs America billions of dollars. For now they’re there because it’s must harder to vote in the 2012 election from Afghanistan. If one wants to defend liberty, one should join the Tea Party. Welcome to the site Dawn!